The 2019 season with reopening Saturday, March 2nd, provides a series of appointments in the name of Fausto Coppi, fraternal friend of Fiorenzo Magni founder of the Cycling Museum Madonna del Ghisallo of Magreglio. 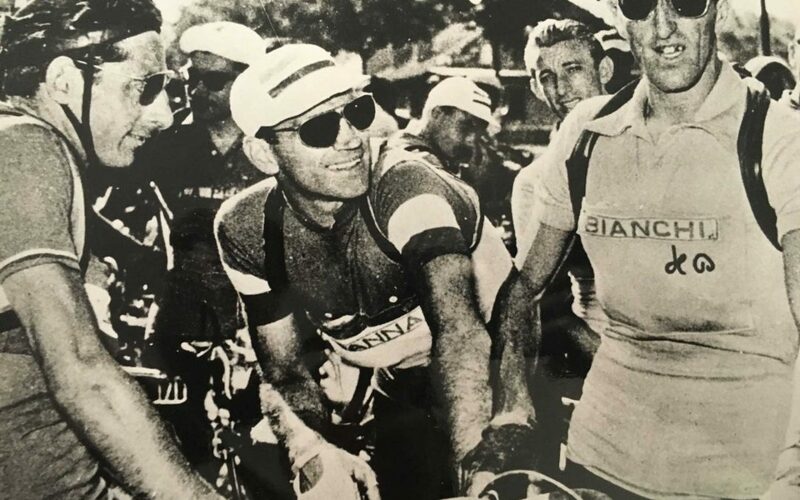 March 2019, Ghisallo Cycling Museum, Magreglio (CO) – New extraordinary exhibition Veni Vidi Bici by Riccardo Guasco. An emotional exhibition for the colors and the atmosphere that this Alexandrian artist can give to vintage cycling and not only. Its stretch will fill one room after another of the entire exhibition space dedicated to temporary exhibitions. Riccardo Guasco exhibition Open from March to the end of May 2019 when Ghisallo will inaugurate another very special historical exhibition: in fact, a display is dedicated to the Seventieth anniversary of Traffic Police following the Giro D’Italia : a path backwards in time through images, memorabilia, commemorations with a double event planned on 26th (Sunday) and 27th (Monday) May 2019, for the passage of the pink race (the stage Ivrea-Como, the longest of the Giro 102) and for the rest day of the Giro d’italia dedicated to a special visit of the students with the involvement of the Blue Bus of the Polstrada. 70 years of Traffic Police at cycling races and the same, in numbers, anniversary linked together the “Girini” to the church on the Ghisallo Pass that in 2019, on October 14th, will celebrate its seventieth anniversary. The Ghisallo Museum and Sanctuary are ready to celebrate “in the name of the Centenary of Fausto Coppi” a series of events that connect them even more, twining in an even more incisive way the house of cyclists with the church that houses the Madonna protector of all cyclists. The celebrations begin at the end of March with the inauguration in front of the Cycling Museum of Fiorenzo Magni’s bronze bust , donated by Ernesto Colnago and installed in collaboration with Cycling Museum Foundation. Starting from June, an exhibition is dedicated to the 70° Sanctuary’s anniversary : an occasion to show the history of Ghisallo Pass together with an important exhibition dedicated to Fausto Coppi and Fiorenzo Magni (a photographic exhibition dedicated to two friend champions). The Ghisallo Museum reopens with some important innovations such as a recorded commentary system created by the staff of the Museum in collaboration with Cheleo Multimedia-Soluzioni & Sinergie, thanks to the contribution of Regione Lombardia and the extension of the bookshop and the shop inside the museum, for an increasingly exciting and engaging space that aims to overcome the last year record of visits. Saturday, March 9th the Cycling Museum, the house of cyclists, hosts the presentation of the Como Lake Team (www.comolake.team) for the third consecutive year. The complete calendar of all the events of the season 2019 will coming soon. Stay with us!